They look at the popularity of poker (especially in the United States) and figure that the theaters will be full if they produce an even halfway decent movie and toss in Shannon Elizabeth. The problem is the "halfway decent" part. Hollywood keeps trotting out these TERRIBLE poker movies, expecting that poker players will be lining up to see them no matter how bad the reviews are. 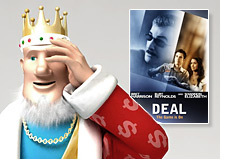 Yet another example is the upcoming movie "Deal", which I had the "pleasure" of watching earlier this week. It stars Burt Reynolds and Shannon Elizabeth. I won't "spoil" the plot for you, but based on the tone of this article, you can probably tell that I wasn't too impressed. I haven't checked out Rotten Tomatoes yet to see what other people thought of it, but I can almost guarantee that the reviews will be uniformly bad. It was just a bad, bad movie. "Deal" comes out next weekend I believe. I predict terrible reviews and terrible box office numbers. It's on the same level as "Lucky You" in my opinion, and that's not saying much. This is the second poker movie to be released in the last month. "The Grand" came out in limited release last month, and received just a 42% average rating on Rotten Tomatoes. Compared to most other poker movies, a 42% rating is almost deserving of an Academy award. I'm not sure when this movie will be given a full release (if ever), but I will predict that it won't make much money. As if two poker movies weren't enough, the massive bomb that was "Lucky You" was released to the public in May of last year, making three poker-themed movies released in the past 12 months. "Lucky You" seemed to have it all - it was released right around the time of the 2007 World Series of Poker, plus it had an A-list star (Drew Barrymore). Still the movie crashed and burned, receiving absolutely horrible reviews and only earning $5.7 million dollars at the box office. 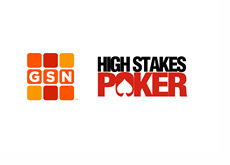 Note to studios: just simply making a movie about poker won't guarantee you any success. At least put a bit of effort into it and come up with a decent script. After the box office performances of "Lucky You", "The Grand" and "Deal", I don't think that we'll be seeing any major new poker movies produced any time soon. That's probably a good thing.